We’re here to tell you that there are ways you can help animals in need without handing over your your hard-earned cash! 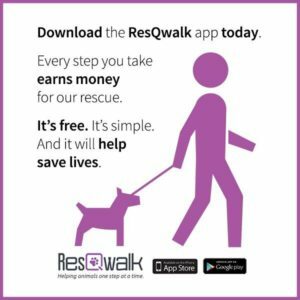 Search for ResQwalk in the app store, or Google Play on your smart phone. 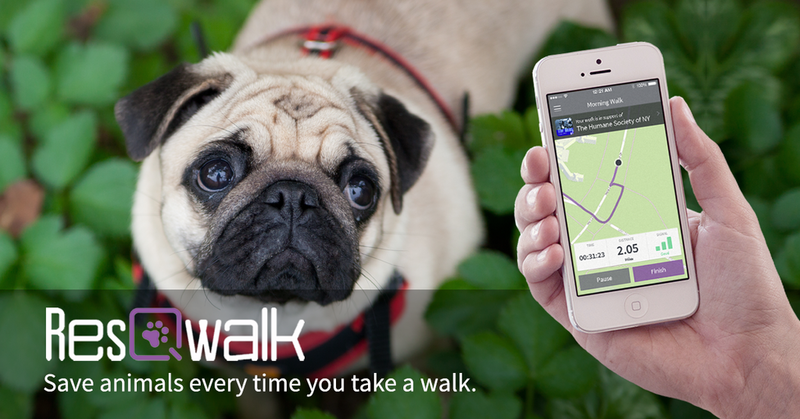 Choose to walk for “Safe Haven Pet Sanctuary Inc.” in the app. Hit “Start ResQwalk” before walking or running. – This is the big purple button on the home screen of the app. Hit “Finish” when you are done, and then hit “Done, start new ResQwalk” to submit your miles. Find out when to attend Team Safe Haven group walks by following us on Facebook HERE. Do you shop on Amazon? If so, try Amazon Smile! Amazon will support your chosen charitable organization by donating 0.5% of the price of your purchase. All you need to do is sign in through smile.amazon.com instead of the regular Amazon URL. Easy-peasy! When you need to shop on Amazon, go to smile.amazon.com instead! In the lower right hand corner, where is says, “Pick your charitable organization” type in Safe Haven Pet Sanctuary, and scroll down to find the one located in Green Bay! You’re all set! This works with Amazon Prime accounts as well. When you like and share our posts, they’re projected to more people on Facebook! This means more potential donors and adopters see our pretty kitties and perfect pups! Who knew you could make such an impact by simply scrolling the newsfeed?! =) Follow us at www.facebook.com/safehavengb/ and on Instagram at www.instagram.com/cat_cafe_wisconsin/.